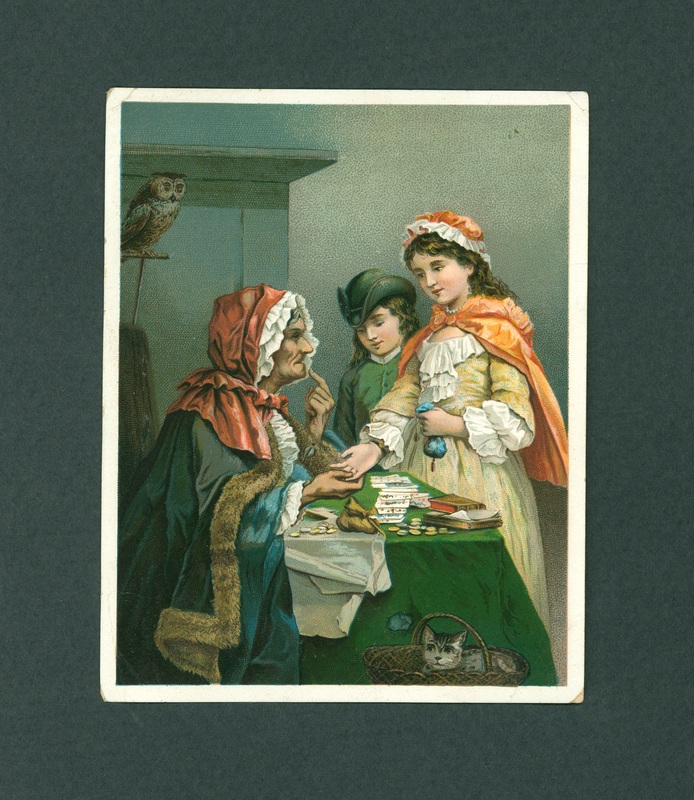 A chromolithographed trade card for Dr. Jayne's Tonic Vermifuge, an expectorant and worm treatment patent-type medicine. 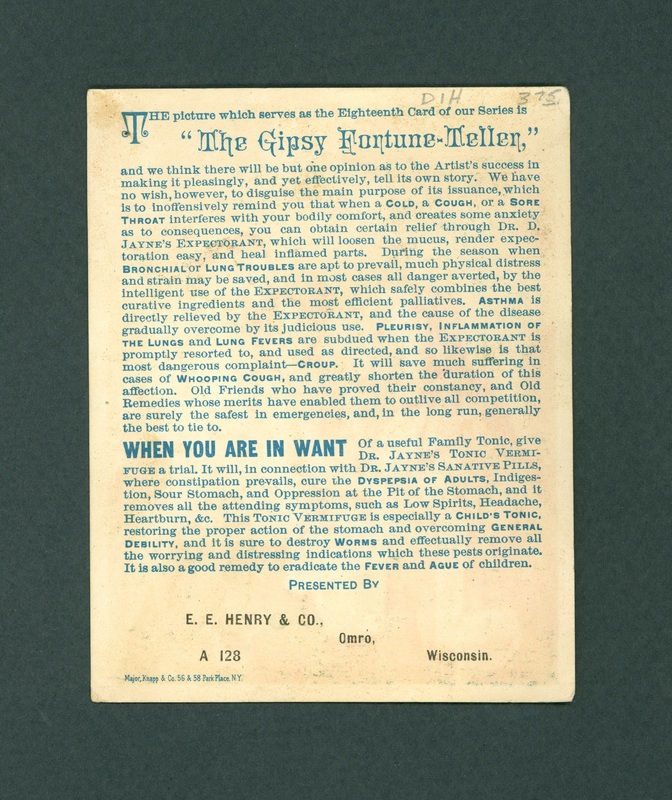 The card is titled "The Gipsy [sic] Fortune Teller." 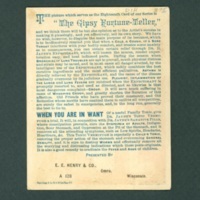 E. E. Henry and Co.
Major, Knapp and Co., “Dr. 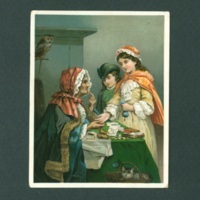 Jayne's Tonic Vermifuge trade card,” The Skeptiseum, accessed April 21, 2019, http://skeptiseum.org/items/show/422.